Buy 48 or more for $14.24 each. 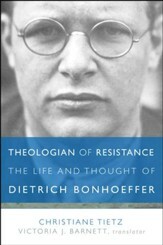 Although Dietrich Bonhoeffer's passionate life and dramatic death are familiar territory, Dr. Sabine Dramm's Dietrich Bonhoeffer: An Introduction to His Thought traces how his faith and beliefs led him to actively resist the Nazi regime. Dramm examines his sermons, letters, articles, and books---offering readers an outstanding introduction to the breadth of his writing and the depth of his profound yet very practical theological thinking. Dr. Sabine Dramm holds a doctorate in education science from Bonn University. She has studied evangelical theology and social science as well as philosophy and education. She is the author of Dietrich Bonhoeffer and the Resistance, and other books and articles. She lives in Provence, France. "This book is a joy to read. 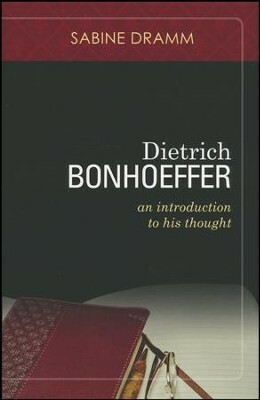 As Bonhoeffer's own work integrated theology and life, so this introduction to his thought is integrated into the story of his own life. 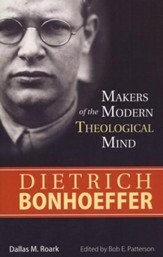 Bonhoeffer's own combination of theological depth and straightforward translation into concrete this-worldly life is here presented with clarity and passion. 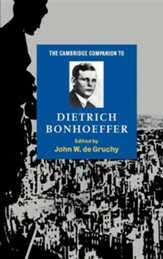 More than a biography decorated with theological snippets, or a survey of his theology illustrated with anecdotes, Dramm presents good summaries of all Bonhoeffer's works, allowing the reader to see the pattern and development of his thought as a whole." 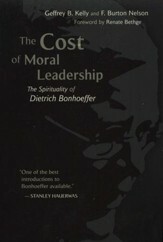 I'm the author/artist and I want to review Dietrich Bonhoeffer: An Introduction to His Thought.